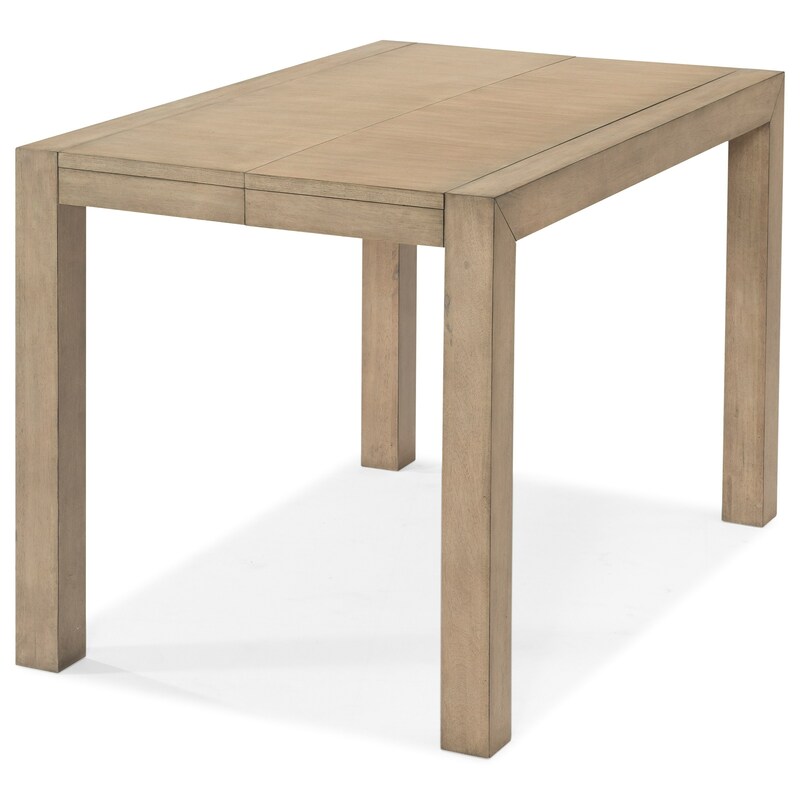 For larger families and entertaining, this counter height dining table maximizes your casual dining space with a removable 18 inch table leaf. 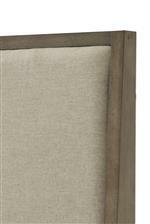 This functional and stylish centerpiece for your dining space was crafted from quartered oak veneers and finished with a refreshing, soft gray wood finish. The Melbourne Contemporary Counter Height Dining Table with One Leaf by Klaussner International at Sam Levitz Furniture in the Tucson, Oro Valley, Marana, Vail, and Green Valley, AZ area. Product availability may vary. Contact us for the most current availability on this product. For new homes or even a new look for your current home, why not wipe the slate clean and start with something fresh? This look is an awesome way to start new - its refreshing, casual, and cool. 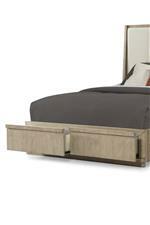 This collection is an easy way to revitalize your bedroom, home office, or casual dining area. Create functional living spaces for today's home with two dining table options including counter height or a bed with built-in footboard storage. 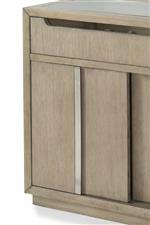 A soft gray finish and sharp touches of chrome hardware make this collection a must for today's relaxed living spaces. The Melbourne collection is a great option if you are looking for Contemporary furniture in the Tucson, Oro Valley, Marana, Vail, and Green Valley, AZ area. Browse other items in the Melbourne collection from Sam Levitz Furniture in the Tucson, Oro Valley, Marana, Vail, and Green Valley, AZ area.